Cresswell Castle was possibly a 13th century defensible manorial complex, built at the highest navigable point of the River Cresswell. Probable house of the Barlows, a complex of three ranges are set around a rectangular courtyard. The enclosing curtain wall is flanked on the angles by vaulted towers, with the largest being built as a dovecote. Much alteration took place in the 16th and 17th centuries but by the end of the 17th century the castle had been abandoned. 3 miles south is Carew Castle and 8 miles north is Llawhaden Castle. 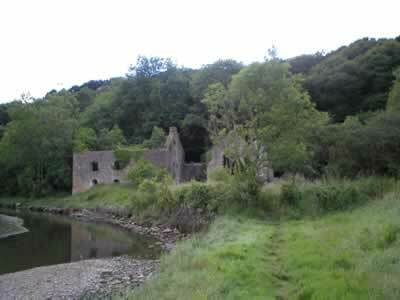 Cresswell Castle is located north of Cresswell Quay, off Millway Lane. 7 miles north-east of Pembroke, on the A4075-A477. The site is privately owned and is visible from the road.